Paris Saint-Germain matched Tottenham's long-standing European record by beating Marseille 2-0 to record an 11th straight league win at the start of a season. Kylian Mbappe provided the decisive moment in Le Classique just three minutes after being sent on as a second-half substitute at the Stade Velodrome. And Julian Draxler confirmed PSG's historic success by squeezing home Neymar's cross-shot with the final kick of the match. Mbappe's 10th Ligue 1 goal of the season put PSG on their way to equalling the 11 wins Spurs managed at the start of the 1960/61 season - a best in Europe's top five leagues. PSG boss Thomas Tuchel, already without the injured Edinson Cavani, took the surprising decision to omit Mbappe from his starting line-up, reportedly after he was late for a team meeting. Mbappe stayed on the bench for 62 minutes, and for the majority of that time PSG had laboured against their bitter rivals from the south of France. 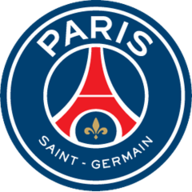 But the 38th goal of PSG's league campaign arrived when Mbappe's searing pace took him onto Angel Di Maria's pass and he slotted his shot low past Steve Mandanda. Marseille had gone 17 games without beating PSG - the longest stretch in their history - and there was little love in the stands for their Parisian visitors. Neymar was prevented on several occasions from taking corners as objects rained down on him, incidents that Marseille might well not have heard the last of. 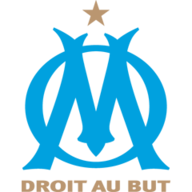 Both Marseille boss Rudi Garcia and PSG assistant manager Arno Michels were sent to the stands as tempers threatened to boil over. Marseille played with a positive energy throughout, but scoring opportunities were rare as the final pass often went astray. Marseille's best moment came when Jordan Amavi clipped the outside of a post in the final 10 minutes. Elsewhere on Sunday, midfielder Wylan Cyprien's first goal of the season helped Patrick Vieira's Nice to a much-needed 1-0 win at Bordeaux. Cyprien scored in the 54th minute after being set up by winger Allan Saint-Maximin. Bordeaux then hit the crossbar and Nice goalkeeper Walter Benitez made a brilliant injury-time save to keep out a header from forward Andreas Cornelius. The win moved Nice up to 10th place after 11 matches, behind Reims on goal difference. Forward Remi Oudin also netted his first goal of the campaign as Reims won 2-0 at Rennes.